Designed by PNH Solutions, Hyundai’s custom viewing docks featured pressure-sensitive vinyl floor adhesives. 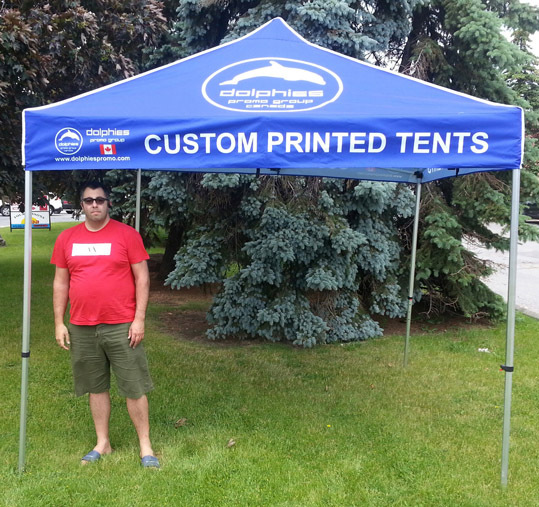 The company, which has offices in Montreal and Toronto, provided print portions of three multi-level, custom viewing docks, measuring 4 m (13 ft) tall and up to 14.6 m (48 ft) wide. 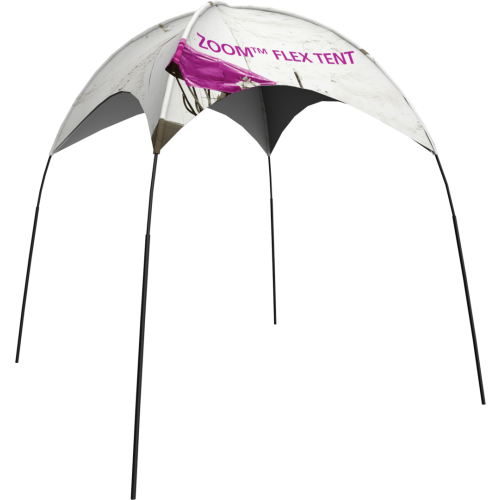 The displays were set up outdoors in a high-traffic area, so designers had to select robust materials that would remain in-place for the duration of the 10-day event. 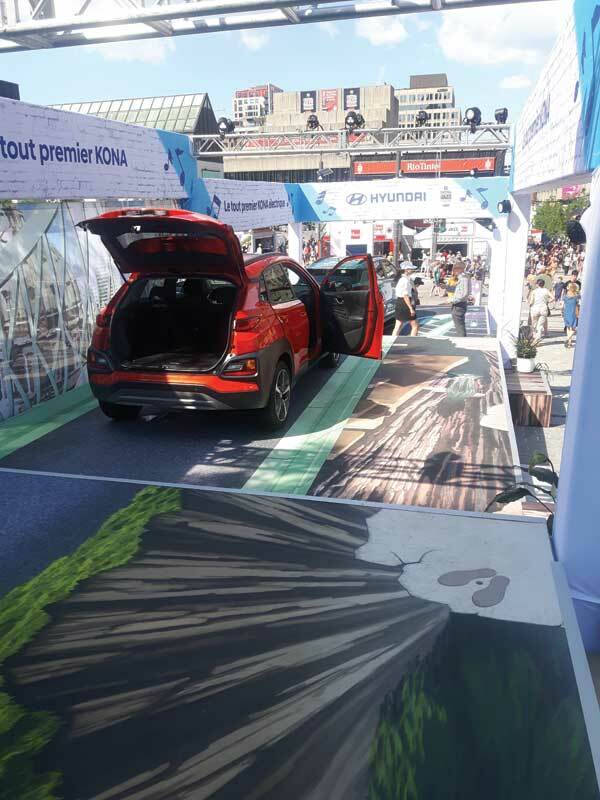 The installation included pressure sensitive vinyl floor adhesives, which were coated with a pebbled non-slip over-laminate, as well as fabric banners, printed on lightweight, perforated mesh to reduce sail-effect. 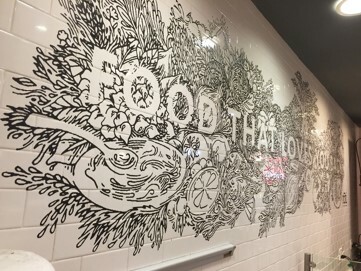 The visuals were printed through a dye sublimation process on a large-scale printer used for soft-signage applications. The design’s obscured truss system introduced a significant challenge for PNH Solutions, as installers had to ensure the visuals, which sometimes spanned across multiple fabric banners, lined up without leaving any gaps or spaces. This required extra time and precision throughout the installation. 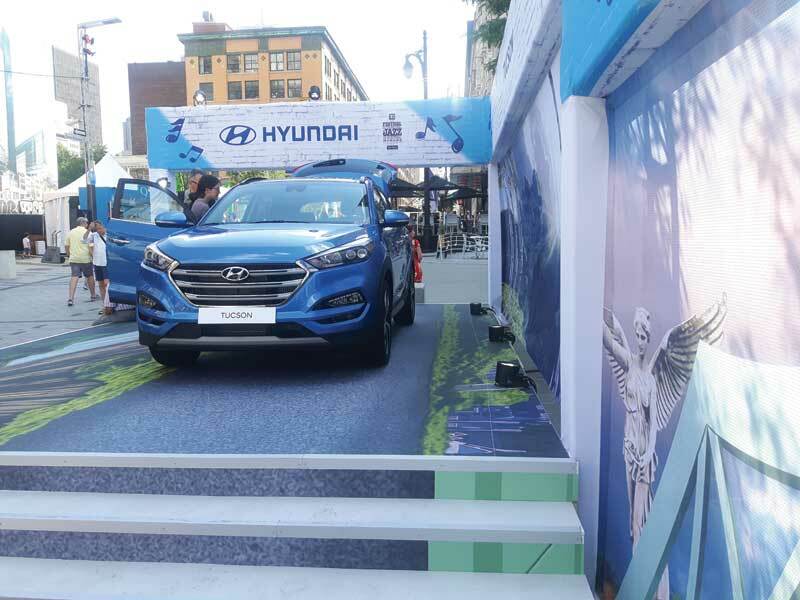 Beyond the three custom viewing docks, PNH Solutions supplied similar fabric banners and floor graphics for Hyundai’s main viewing stage, as well as vinyl banners and a media wall for its VIP section. The media wall was built using a pop-up frame and tension fabric, with visuals printed through a dye-sublimation process. The installation took an eight-person team 20 hours to complete. In total, the displays used 492 m2 (5300 sf) of printed material for the viewing docks, 58 m2 (625 sf) for the VIP lounge, and 520 m2 (5600 sf) for the stage.